I’m probably the opposite of most, honestly. 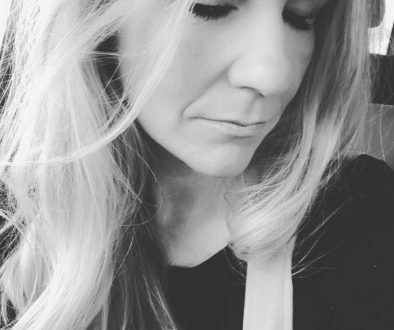 During the week, I’m in full-on “mom mode” shuffling the kids here and there, running errands. So, yes, you can find me rocking those yoga pants a lot. But, I do try to schedule events here and there (last week I had a coffee date with a local pub I’m excited to share very soon I’ll be working with…squeal! It’s exciting.) This week, my agenda is super-packed because Nicole Miller is in town and I can’t even tell you how much I’ve been squealing. Seriously. Mid-week events aside, on the weekend (when I have full-time help with the kids), I find myself dressing up and putting together my outfits even more carefully. I know, the opposite of many of you, I’m guessing. 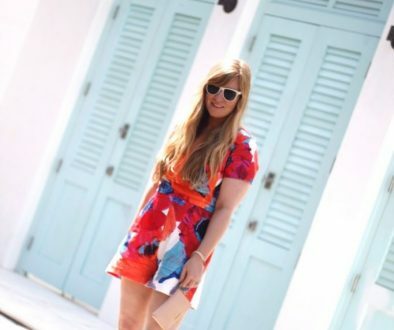 I find that this look here is kinda my uniform…my go-to. 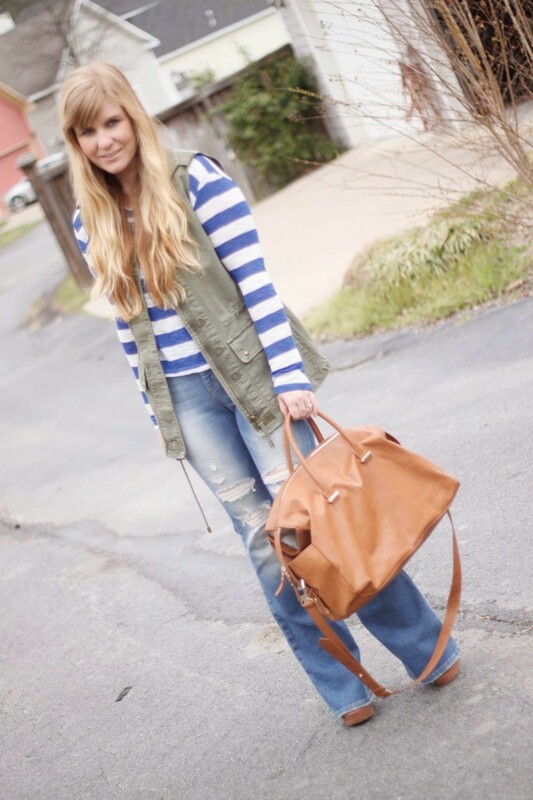 A comfy shirt or tee (like this striped LNA! 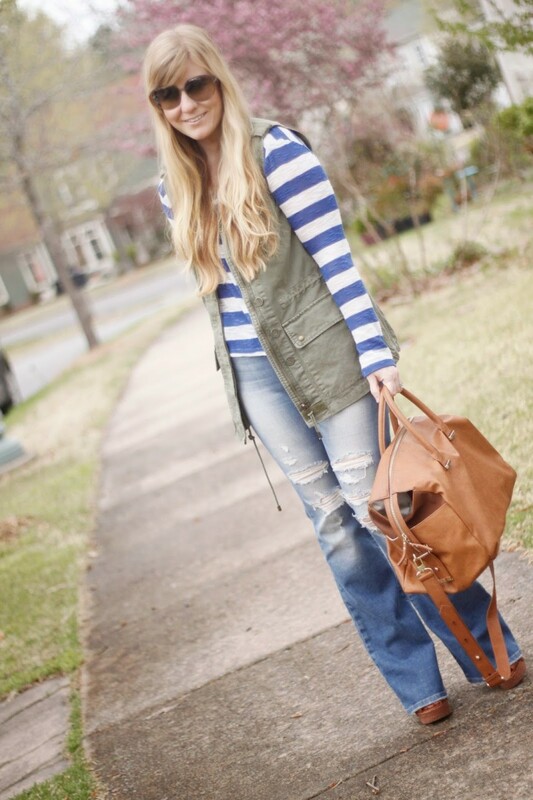 )…layered with a vest…with distressed jeans and heels. And can I mention flares are so back on for spring? Cue the excitement! (But don’t get rid of your skinnies…they’re super-chic, too.) I love a flare because I’m kinda obsessed with the boho look (I mean, look at my hair), and they’re amazing with heels (these are past season platforms I’ve had in my closet for quite awhile, but I love how they give so much height). The flares are the Joe’s High-Rise Gretchen, Collector’s Edition. Love. I recently won a huge French Connection shopping spree and this weekender was one of the items I knew I had to have. So, when I went away for the day last weekend, this holdall was perfect for packing up my essentials and heading out. So the weekend formula? 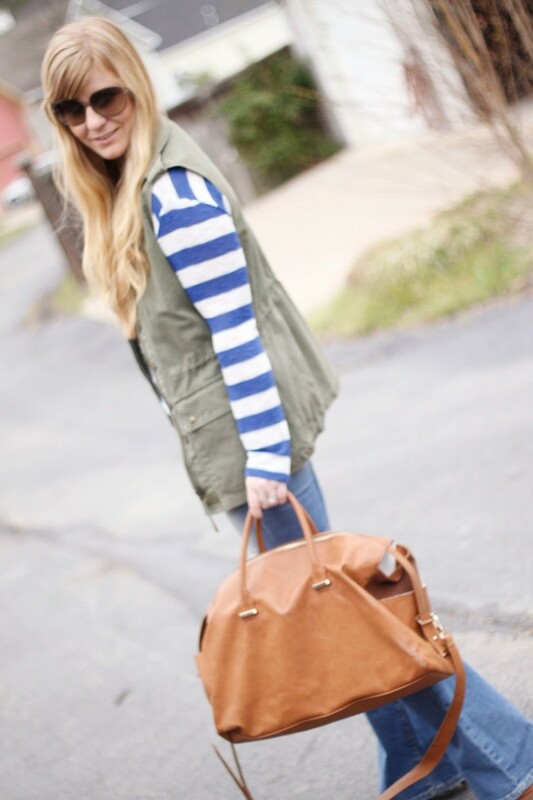 Tee and jeans (extra points for distressed and flared) + vest…then add your accessories and you’re good to go. Disclaimer: Some products were sent to me for the purpose of this review. All opinions are my own. 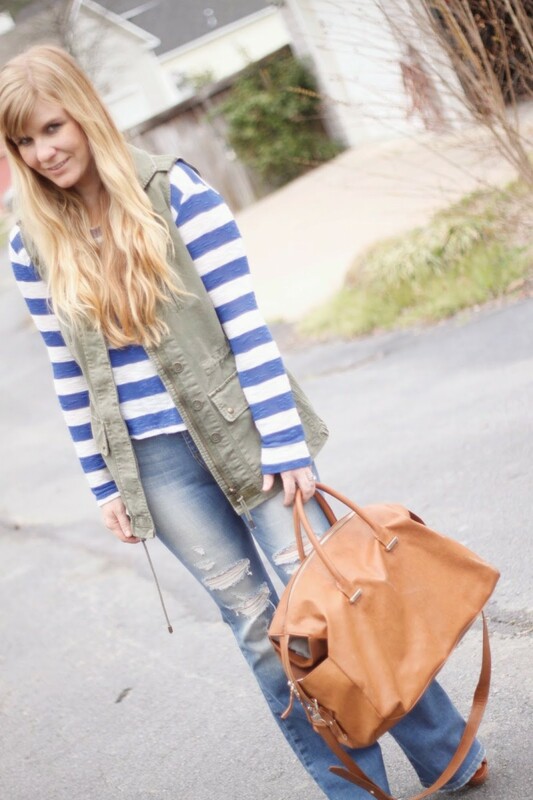 Share the post "How I Wore My Heels: Weekend Casual"
LOVE the stripes with that vest Julie. I seriously need to invest in a vest (boy that's a tongue twister) Congrats on winning the French Connection giveaway. That bag is gorg!